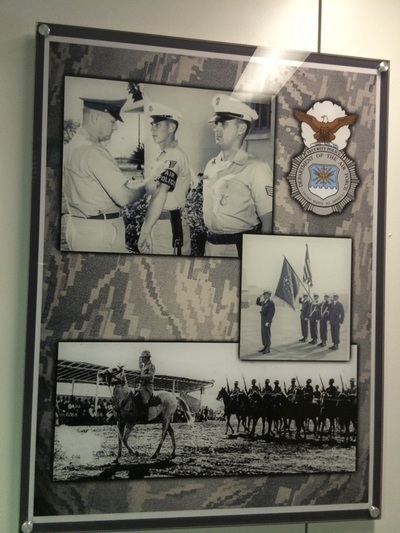 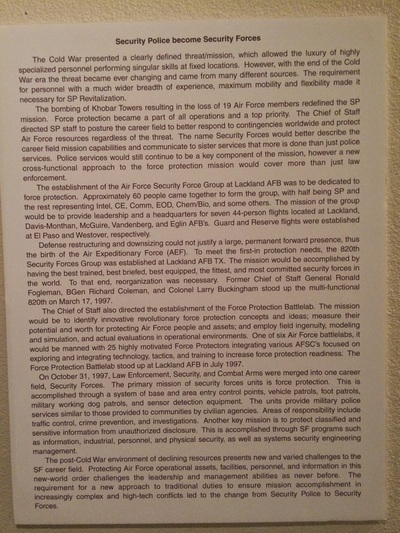 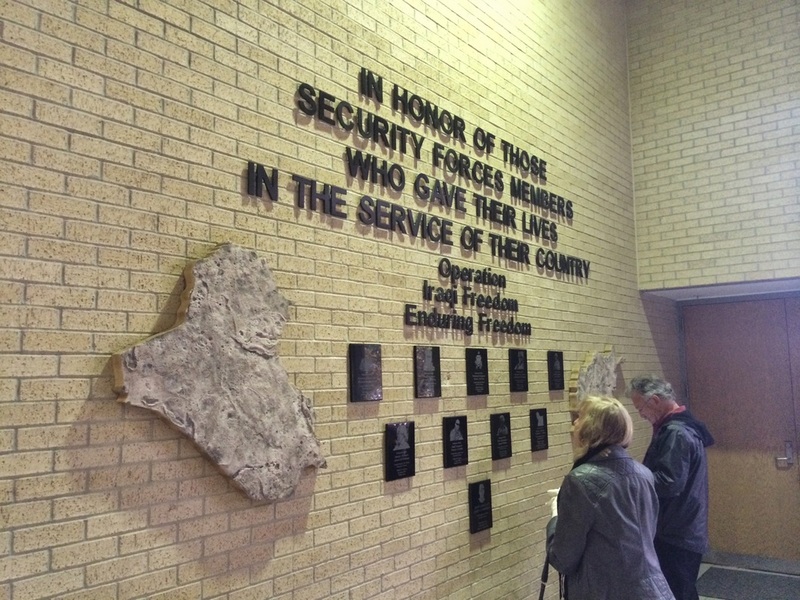 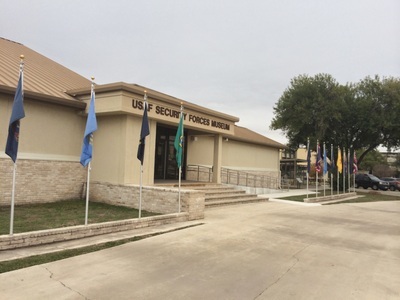 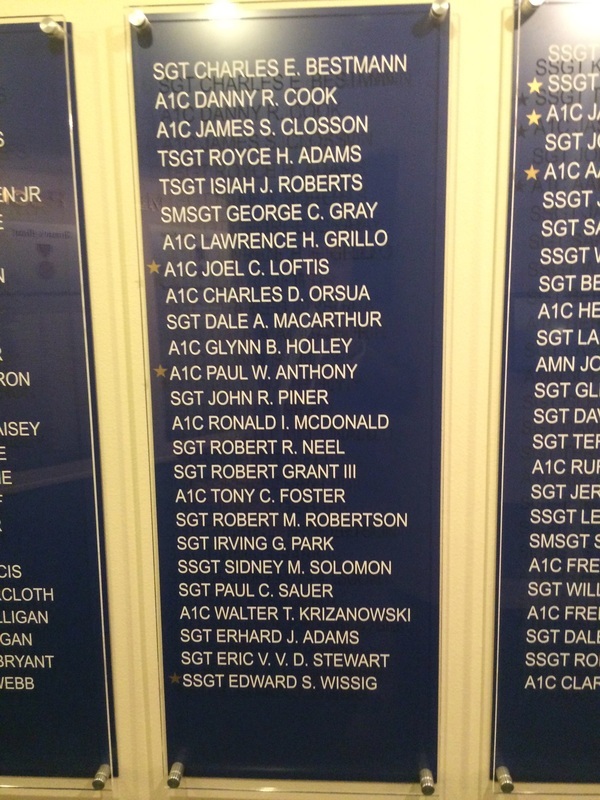 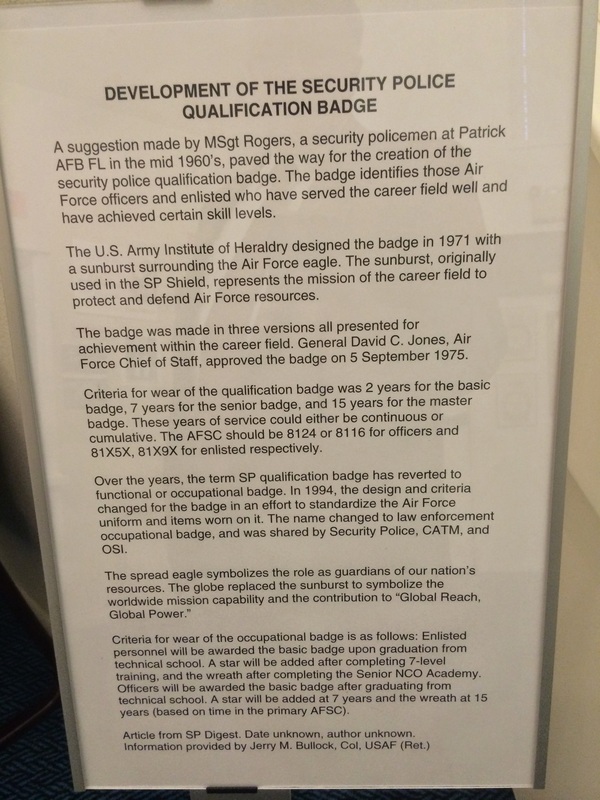 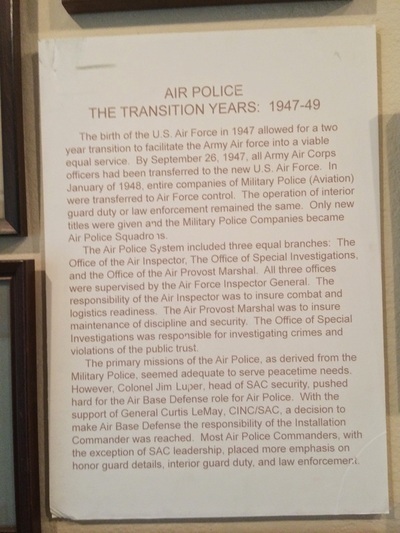 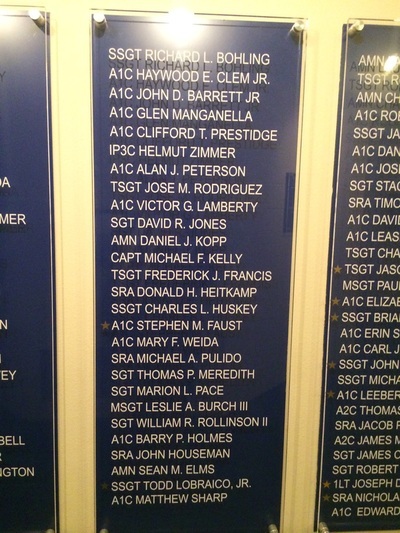 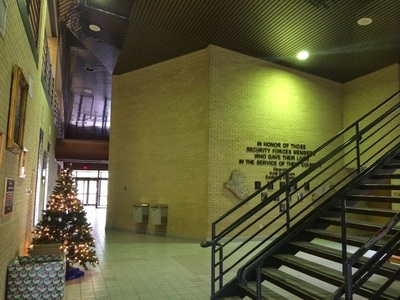 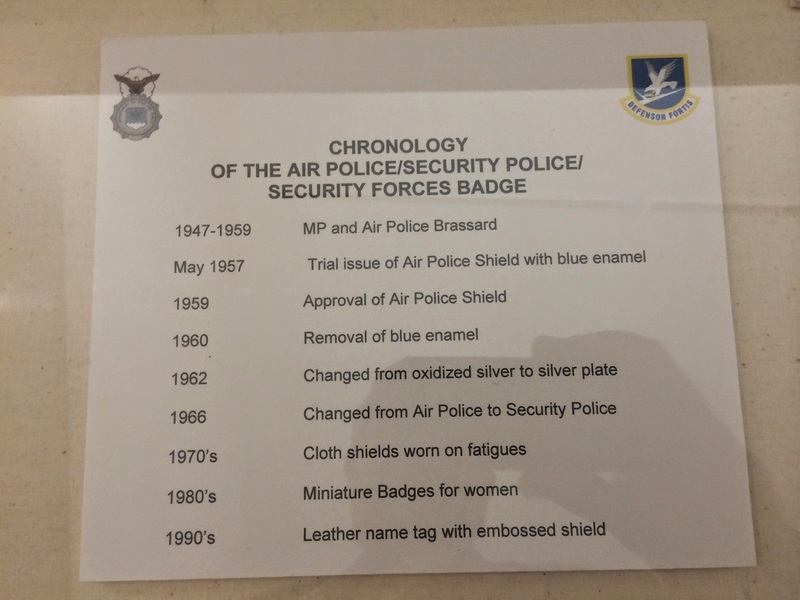 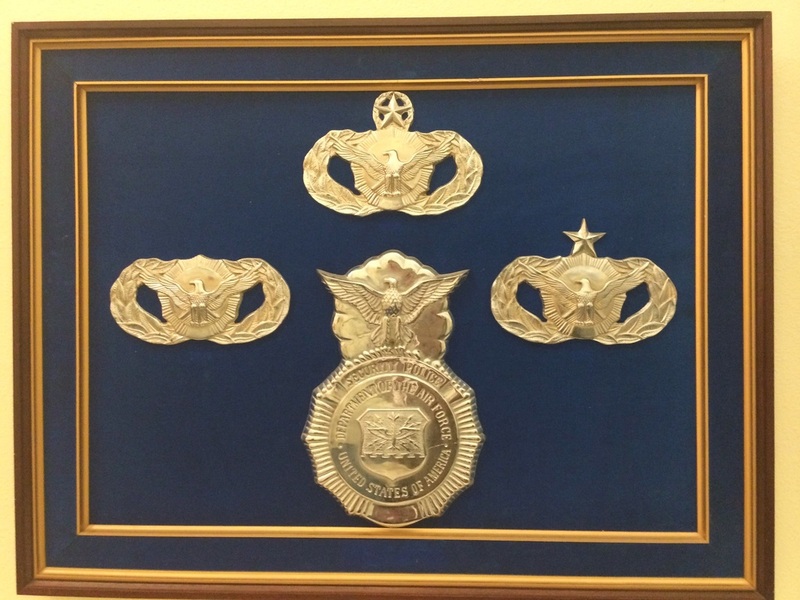 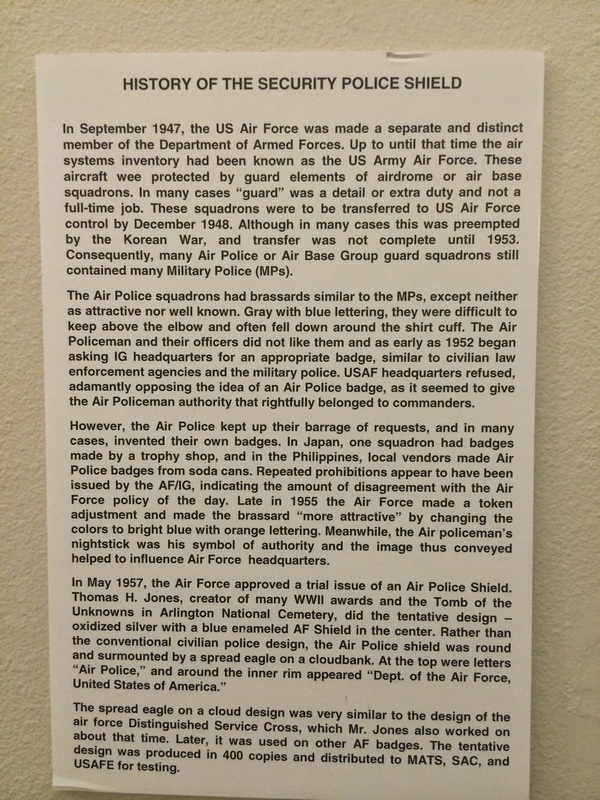 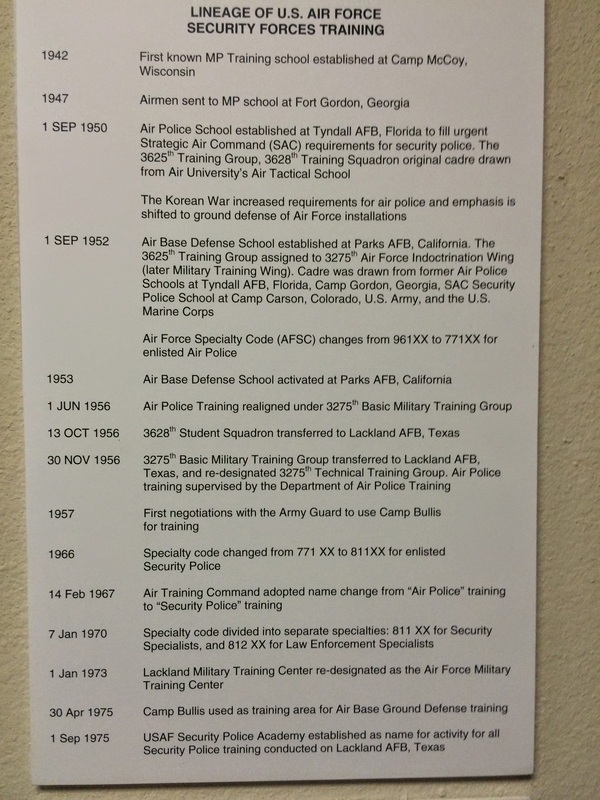 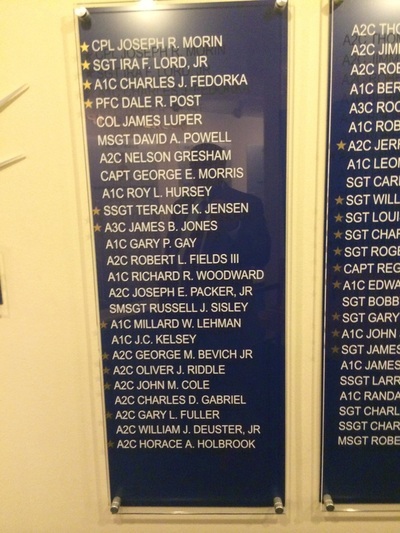 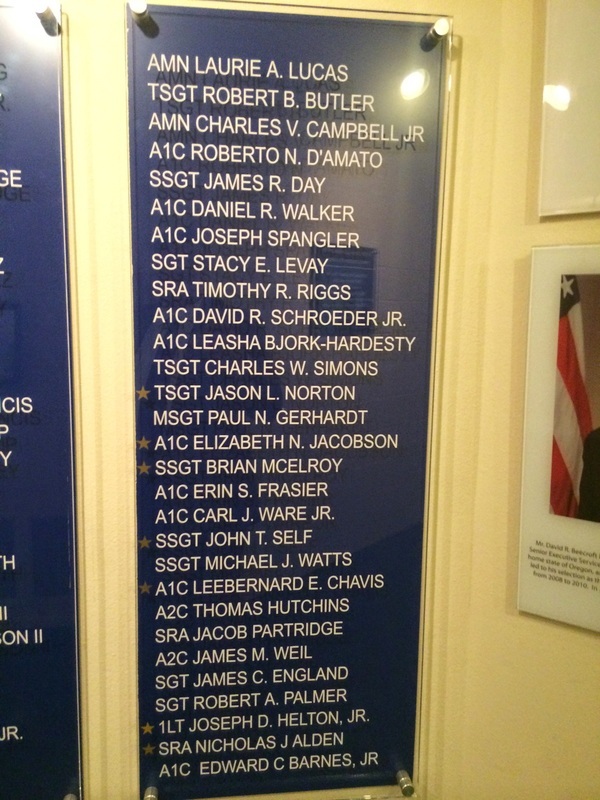 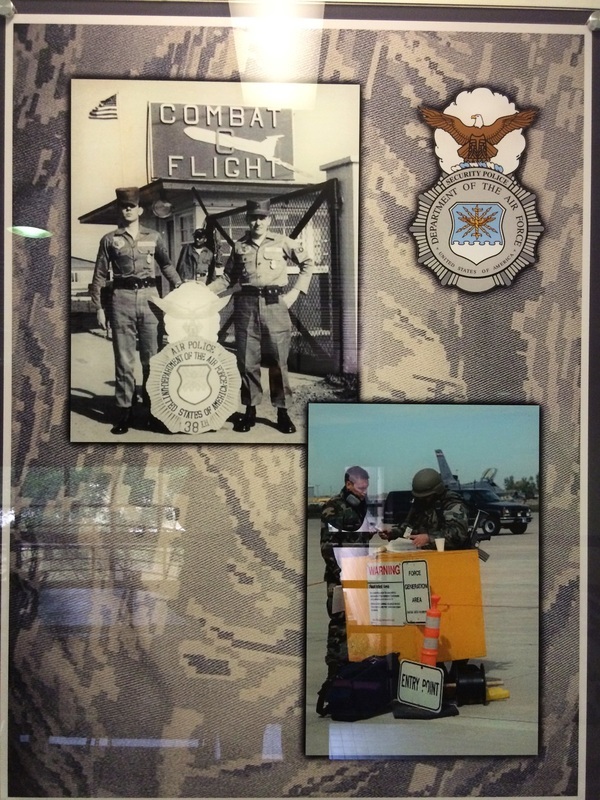 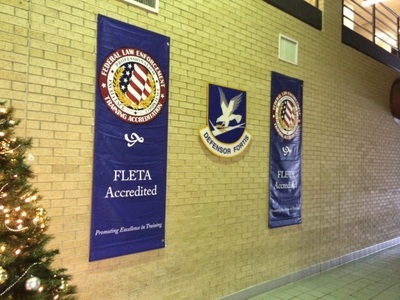 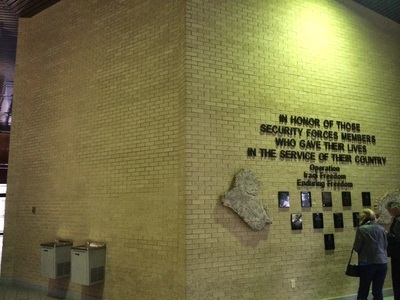 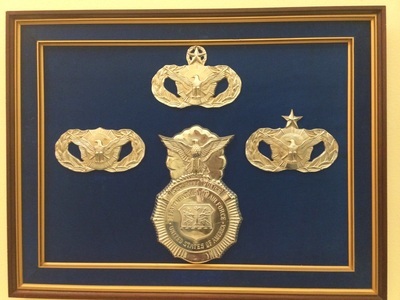 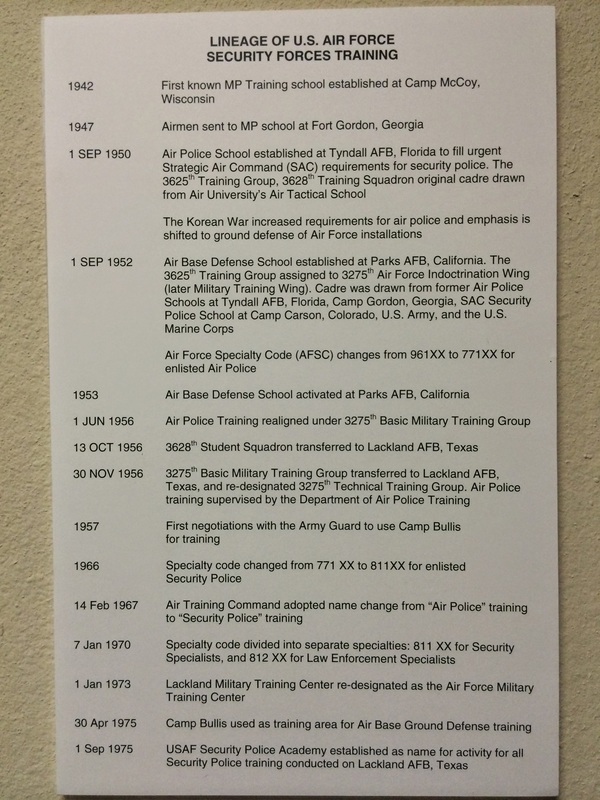 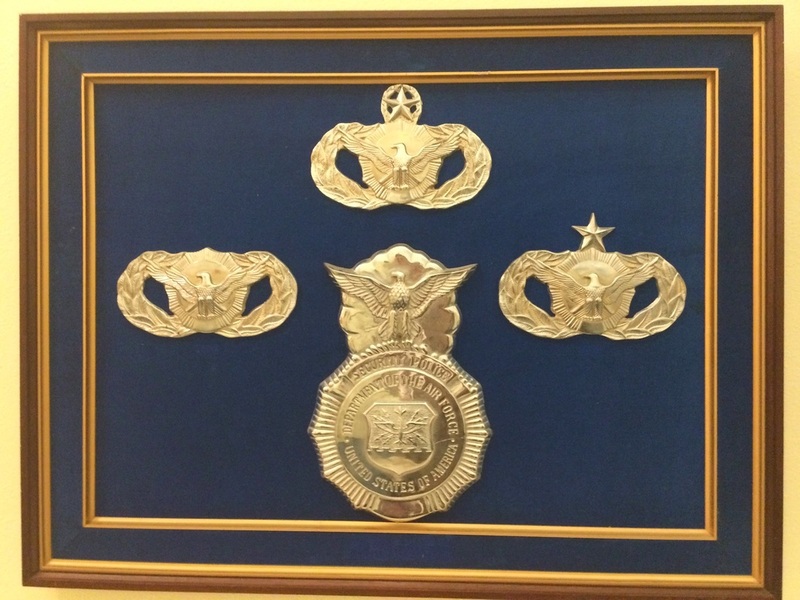 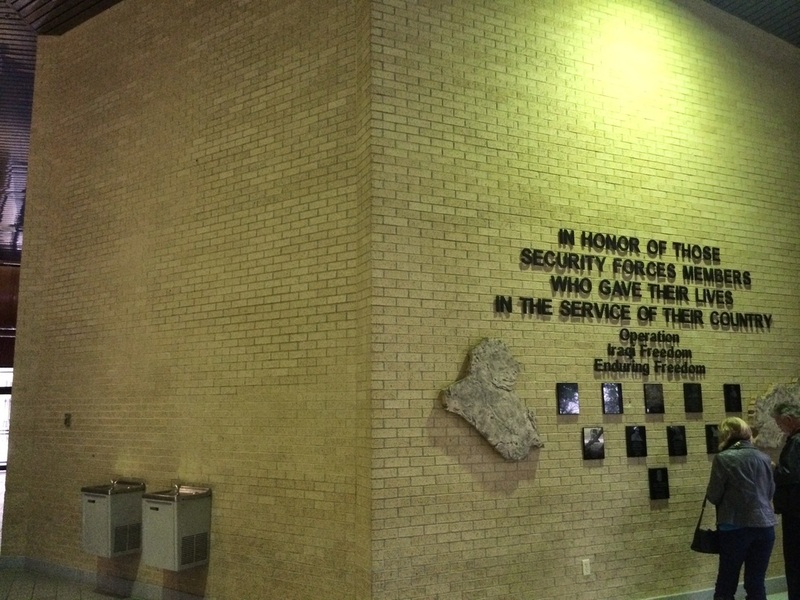 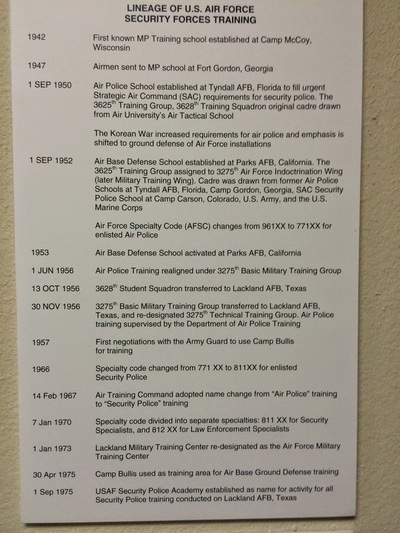 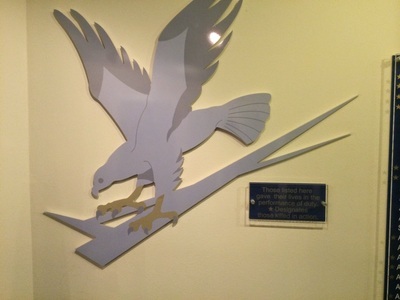 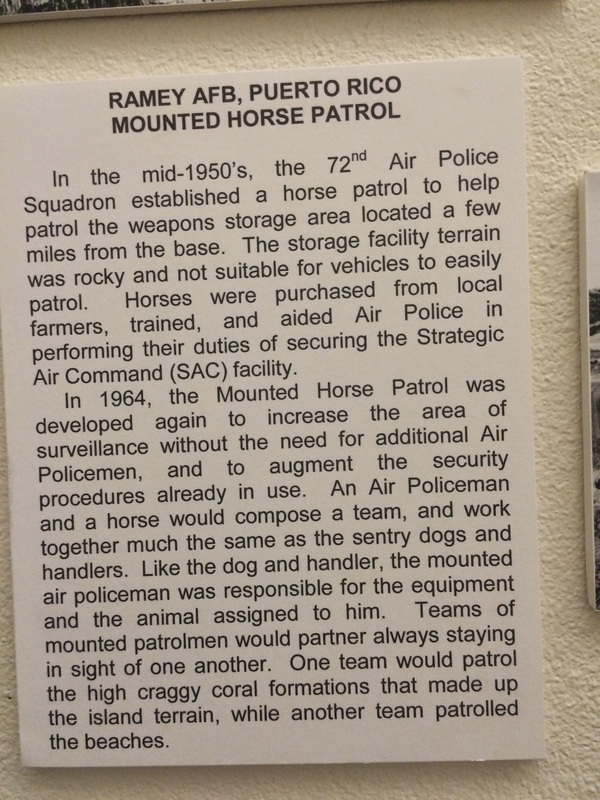 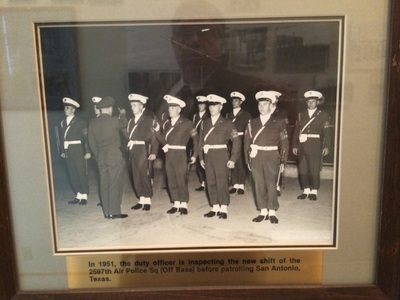 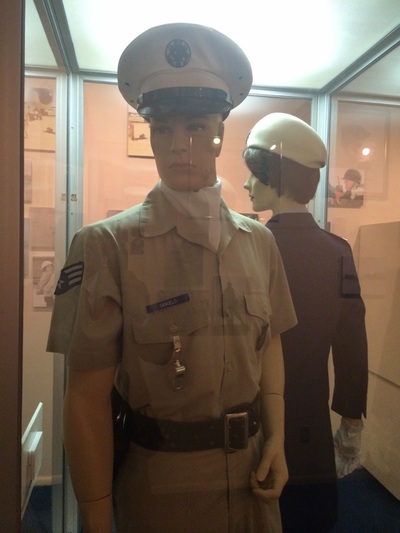 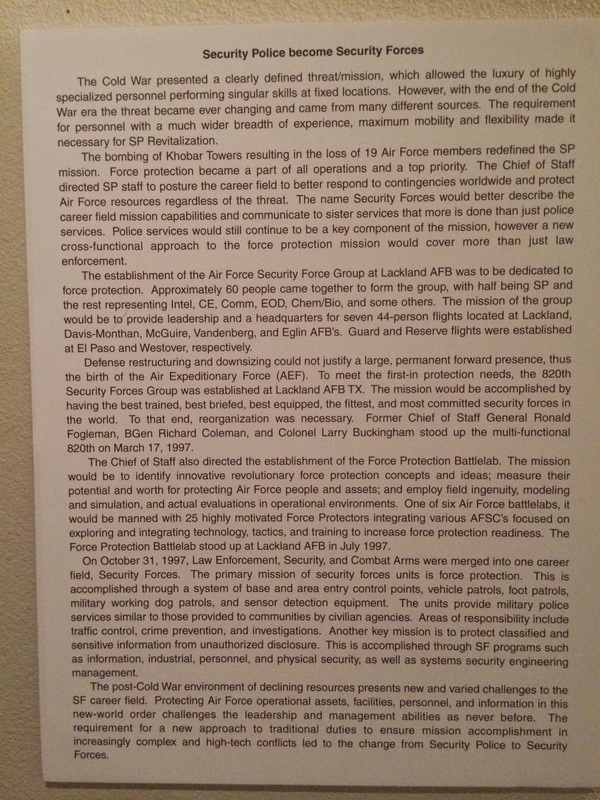 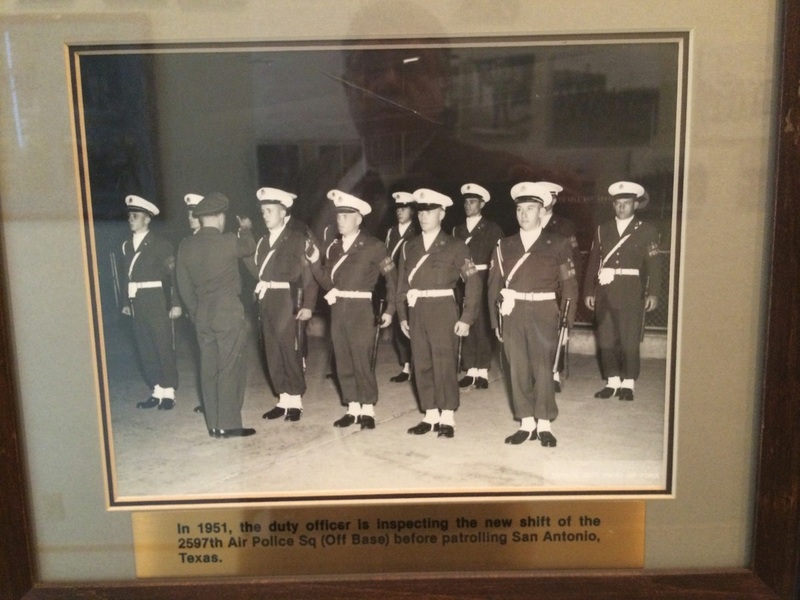 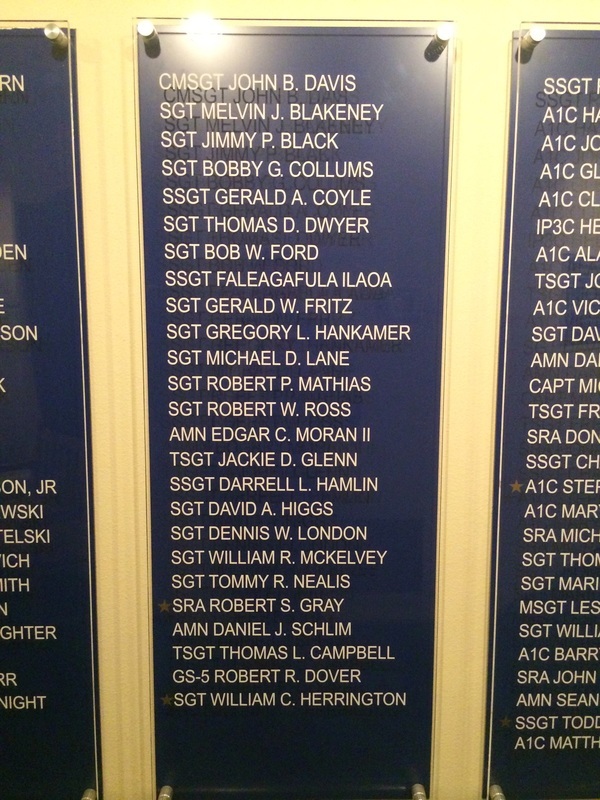 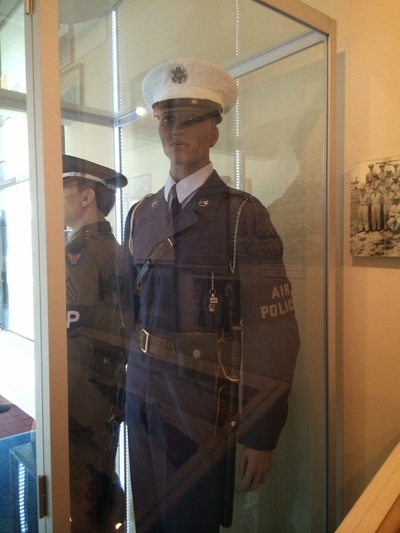 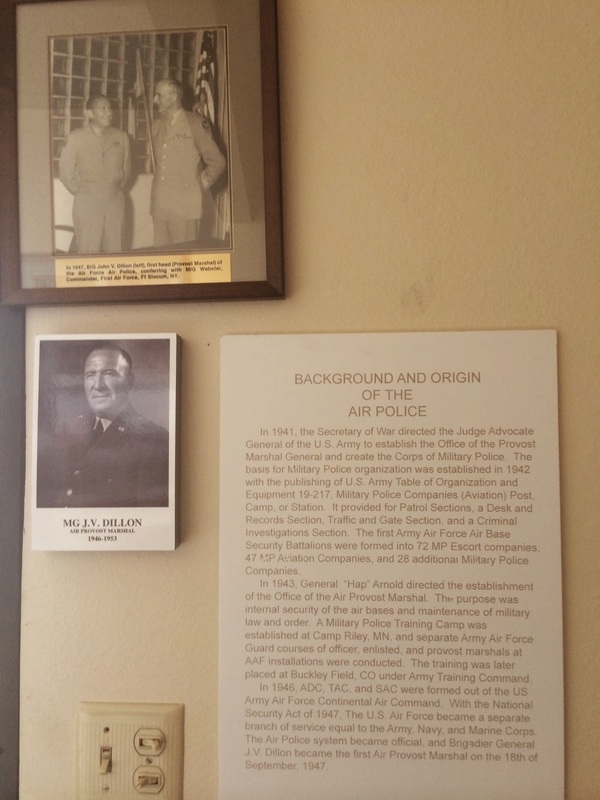 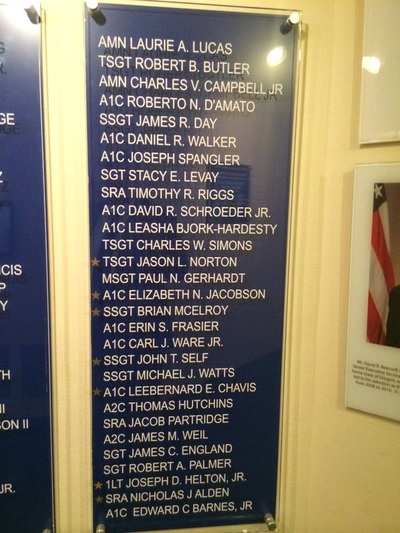 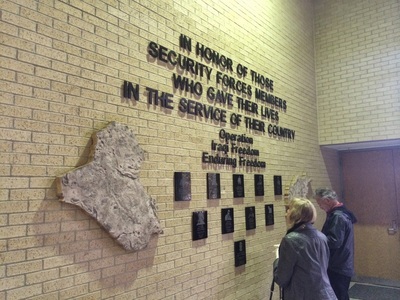 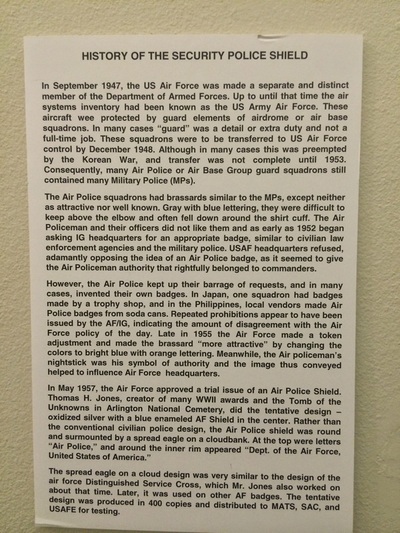 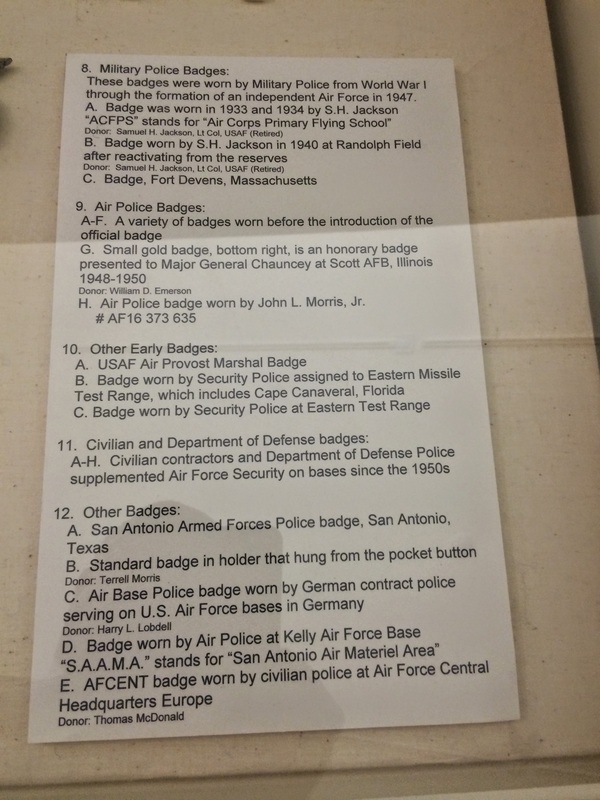 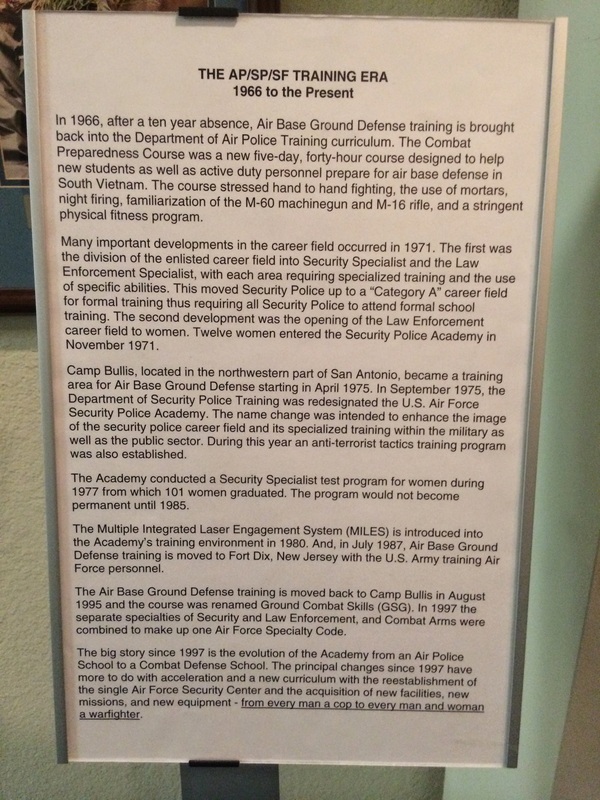 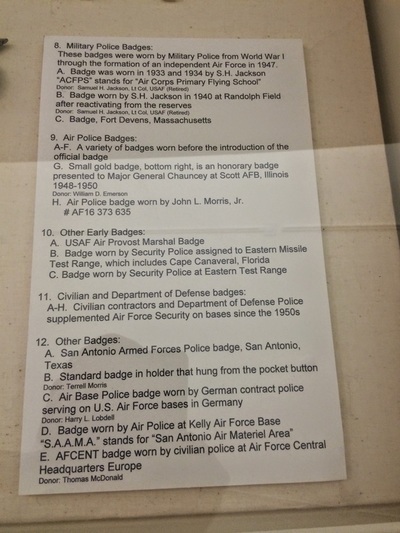 In November 2014, John Shanks, Founder and Co-Chair of the USAF Police Alumni Association visited Lackland AFB and the USAF Security Forces Museum. 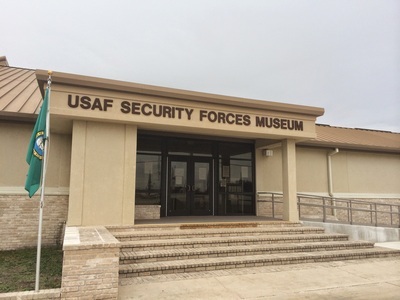 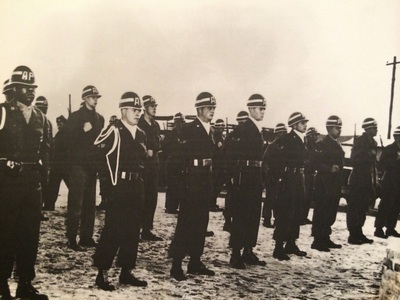 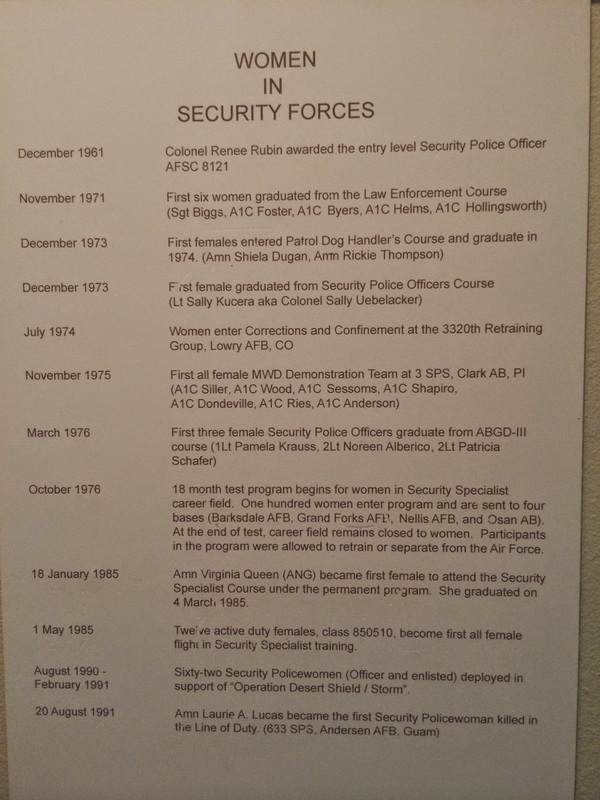 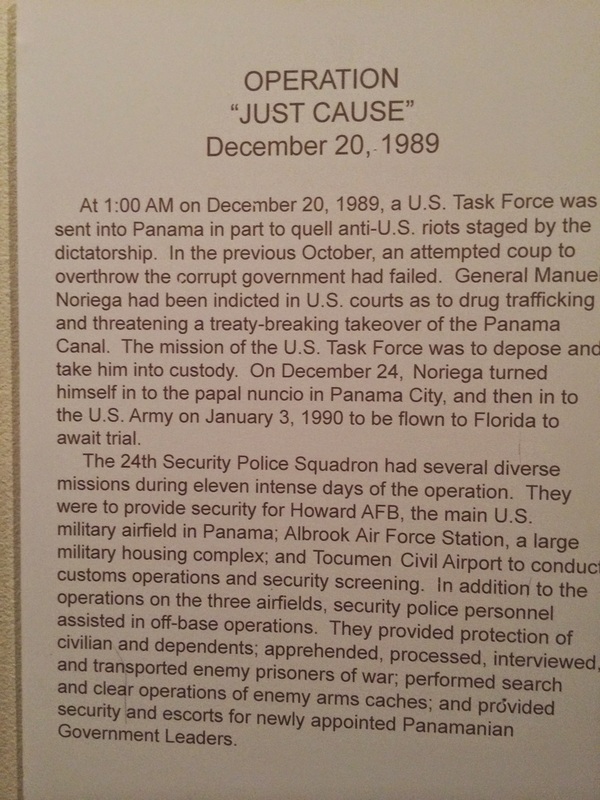 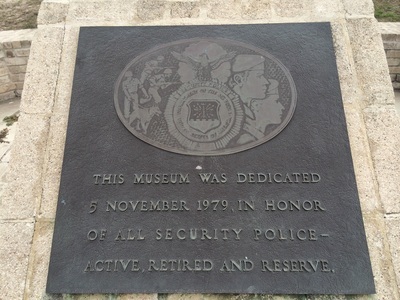 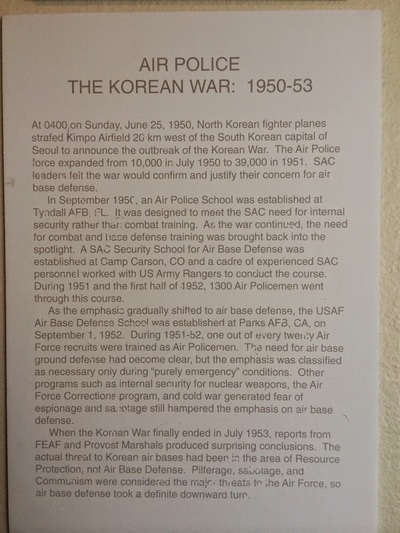 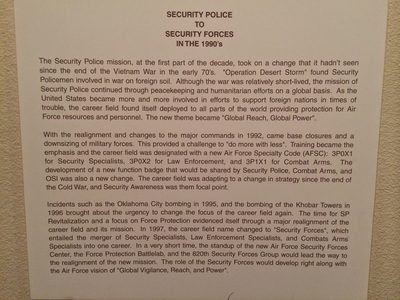 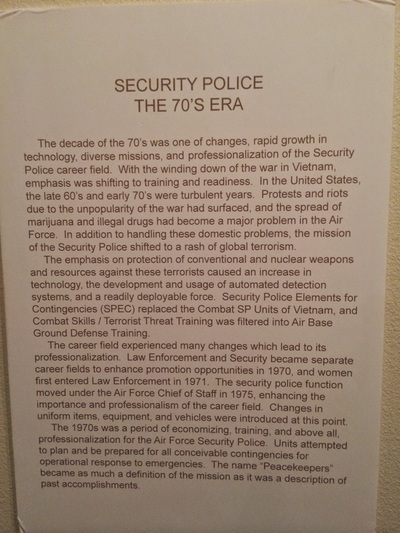 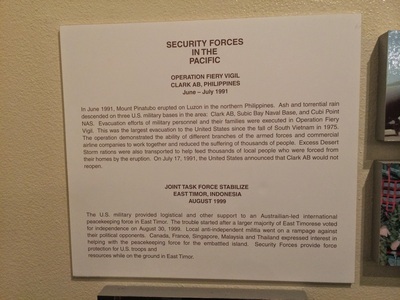 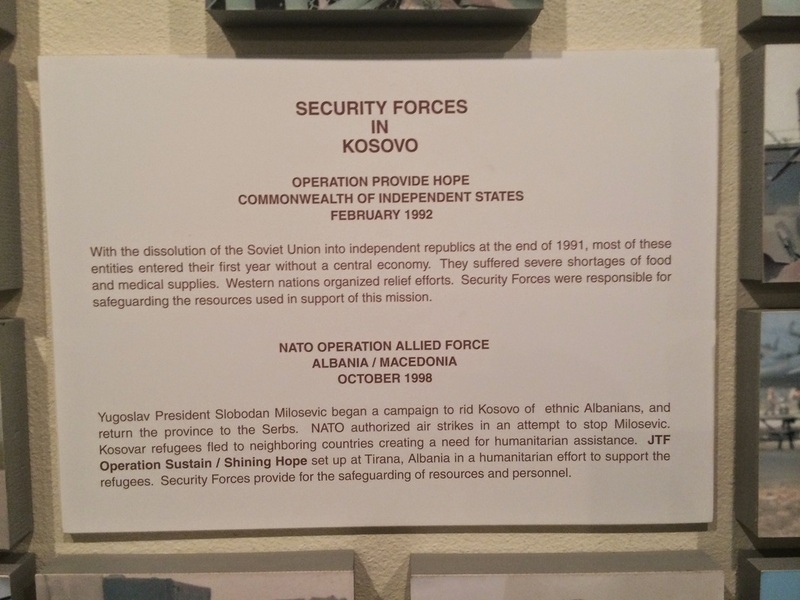 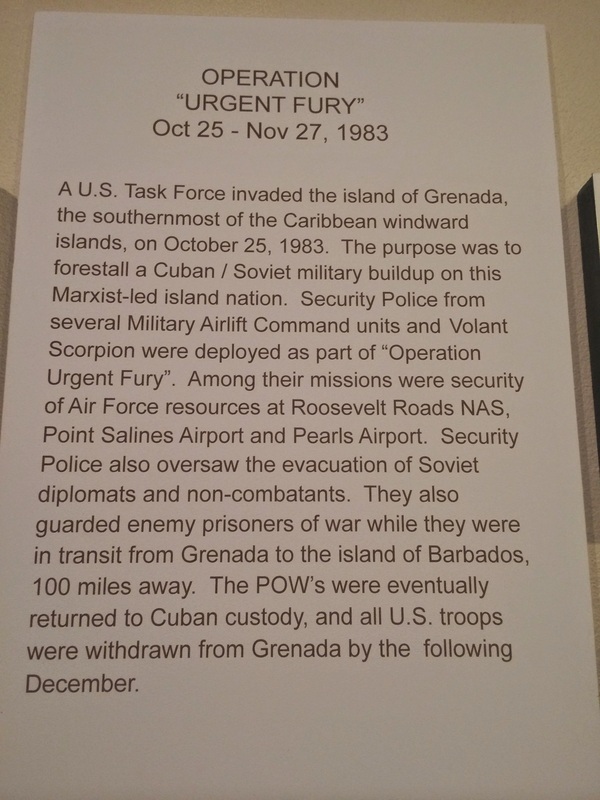 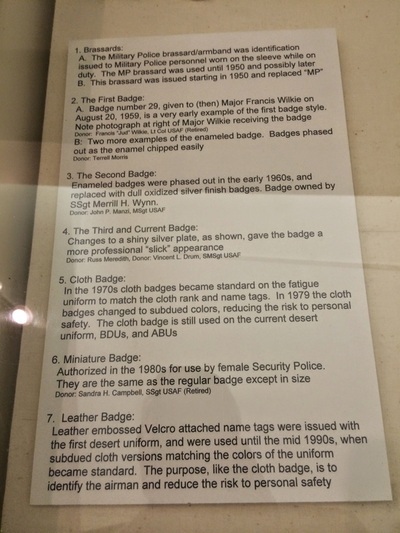 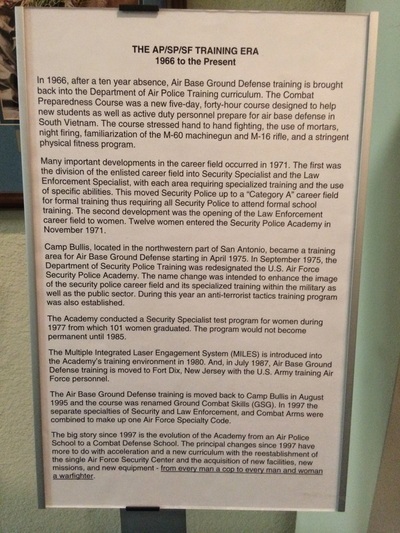 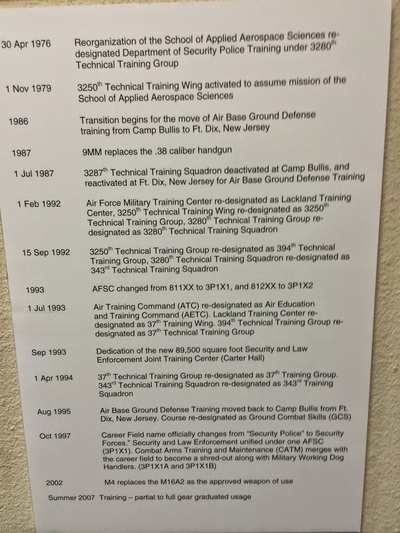 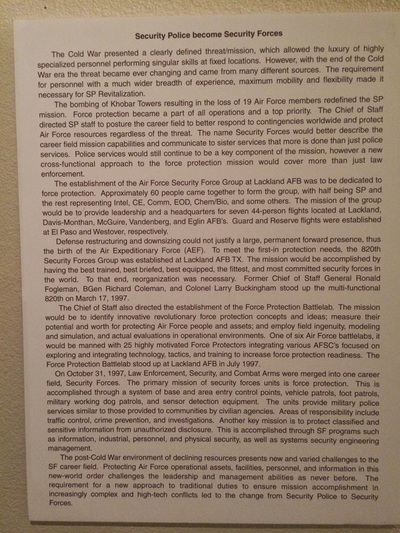 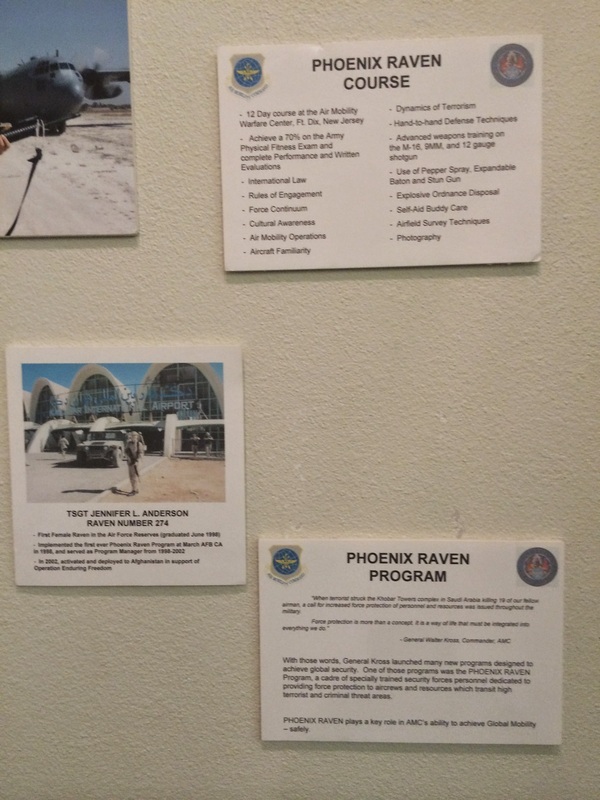 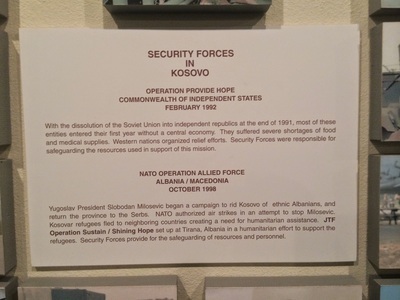 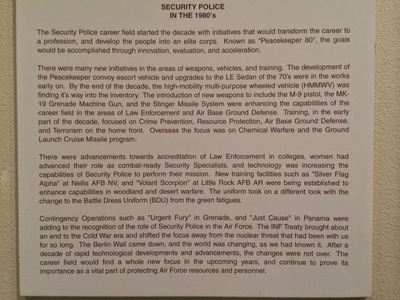 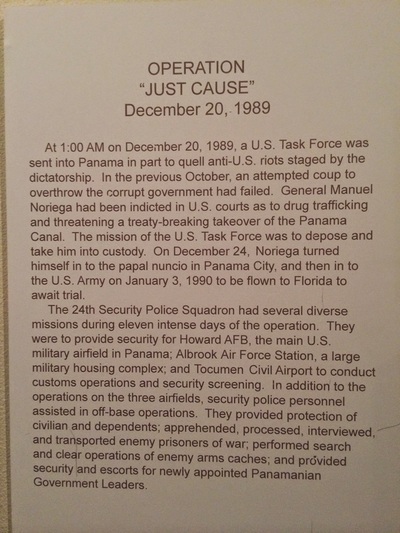 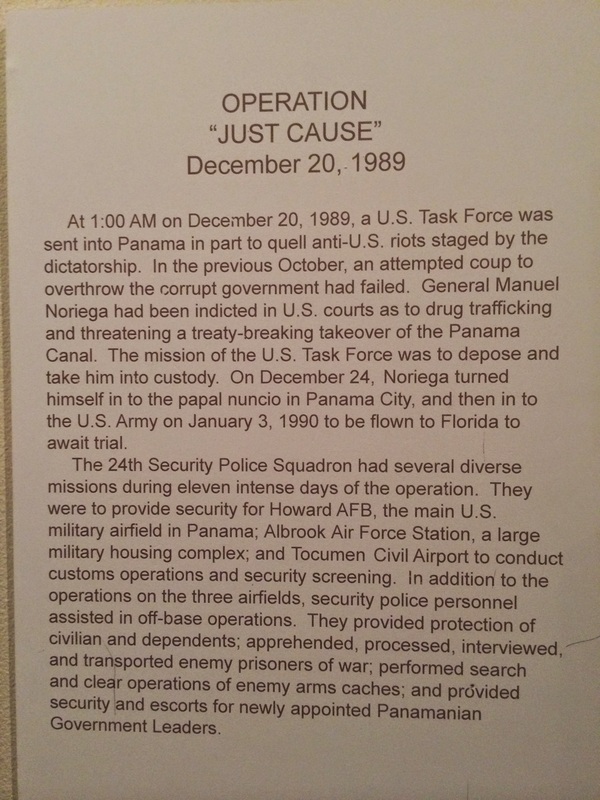 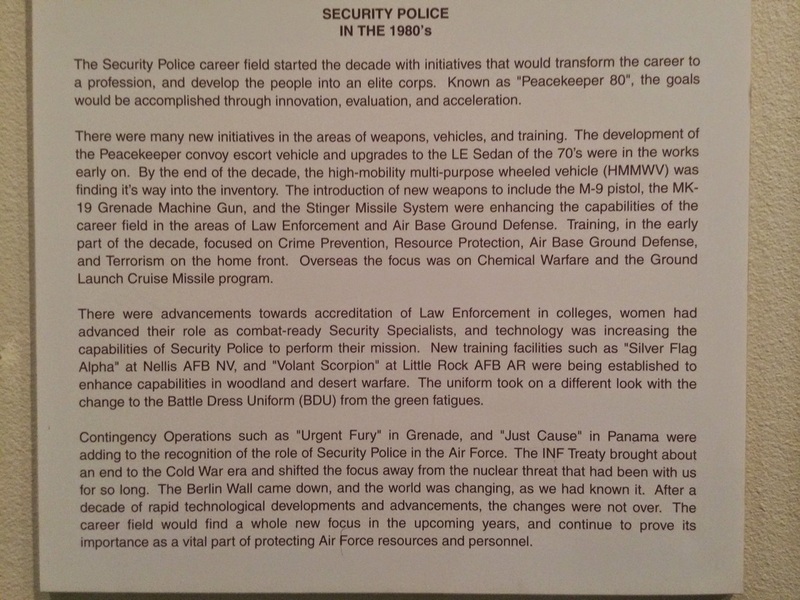 The Museum was open for a class of Security Forces basic students. 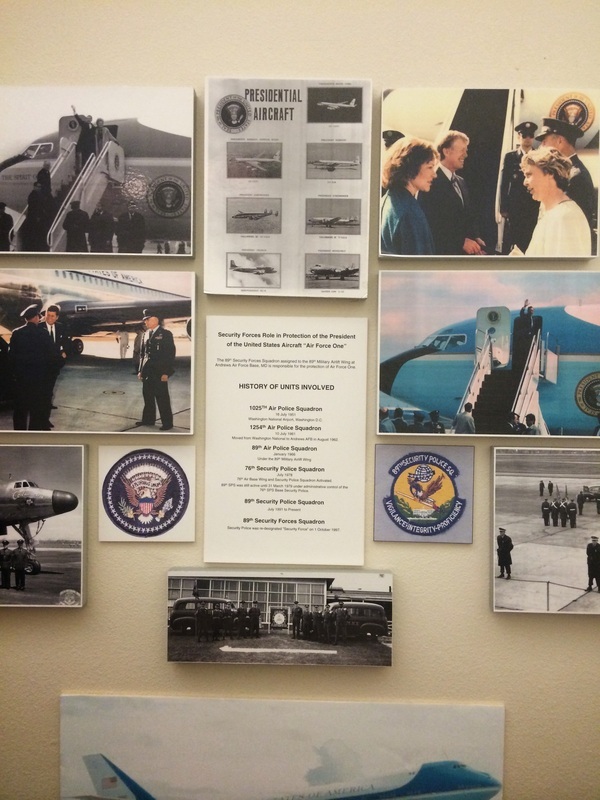 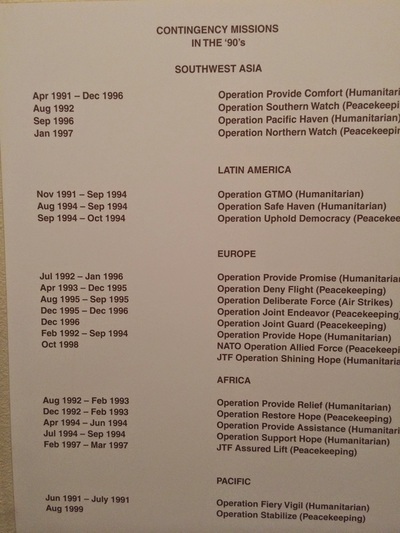 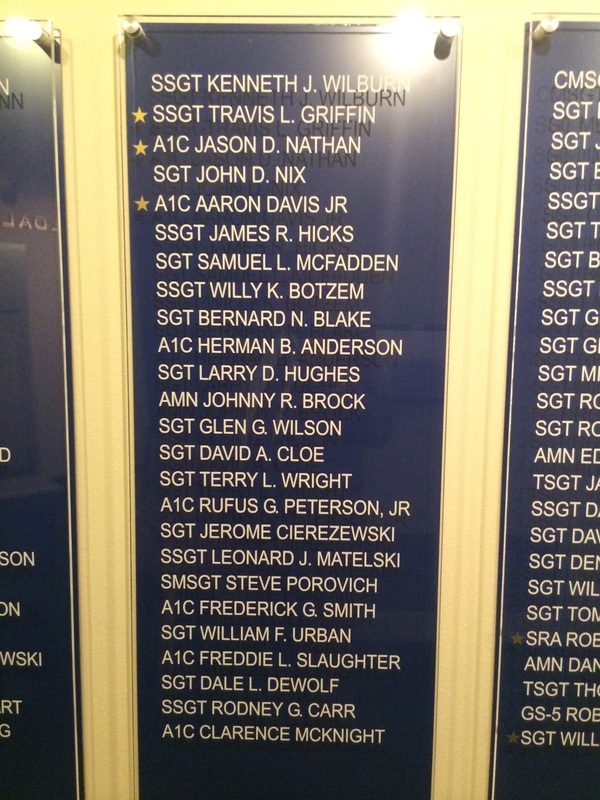 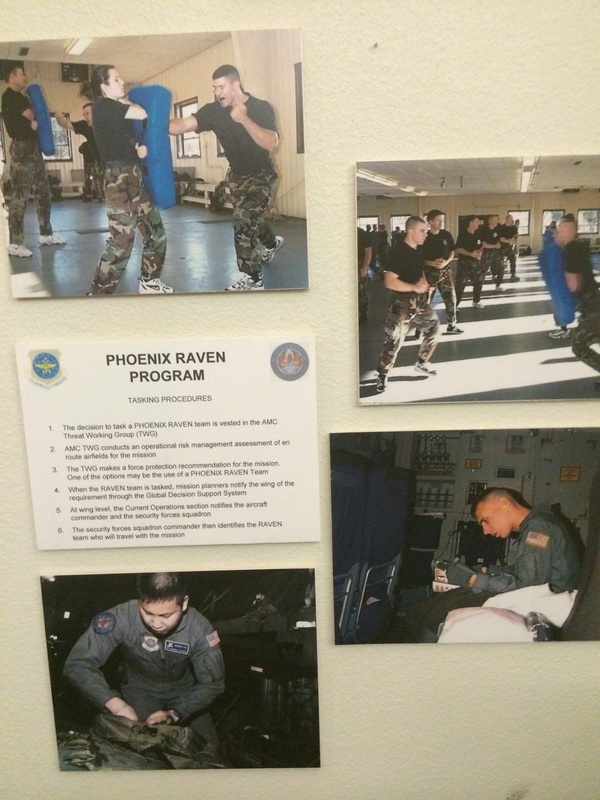 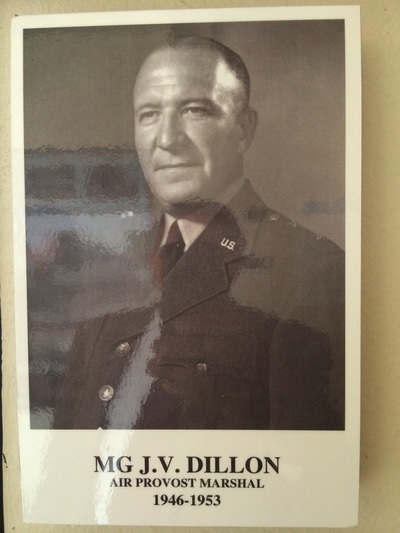 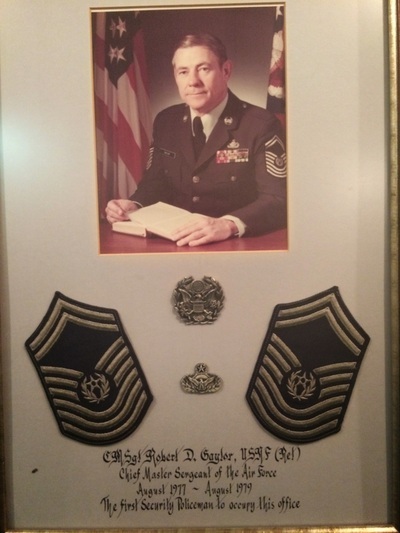 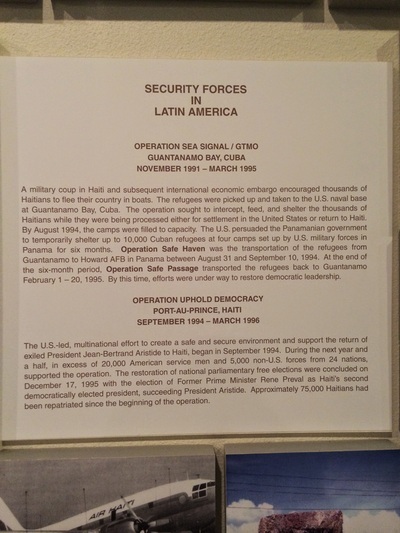 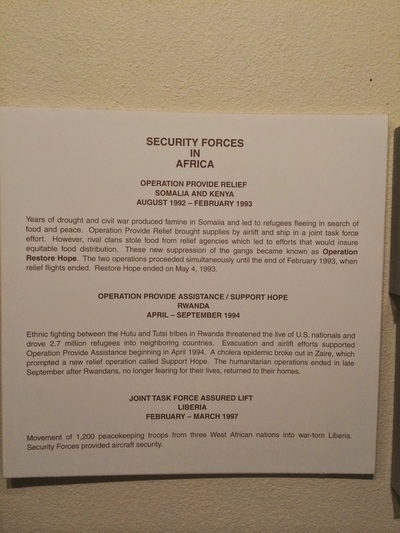 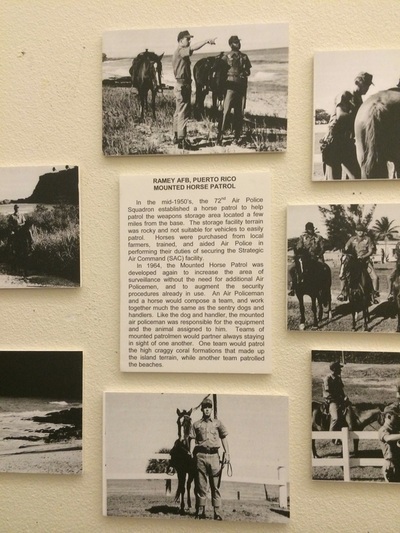 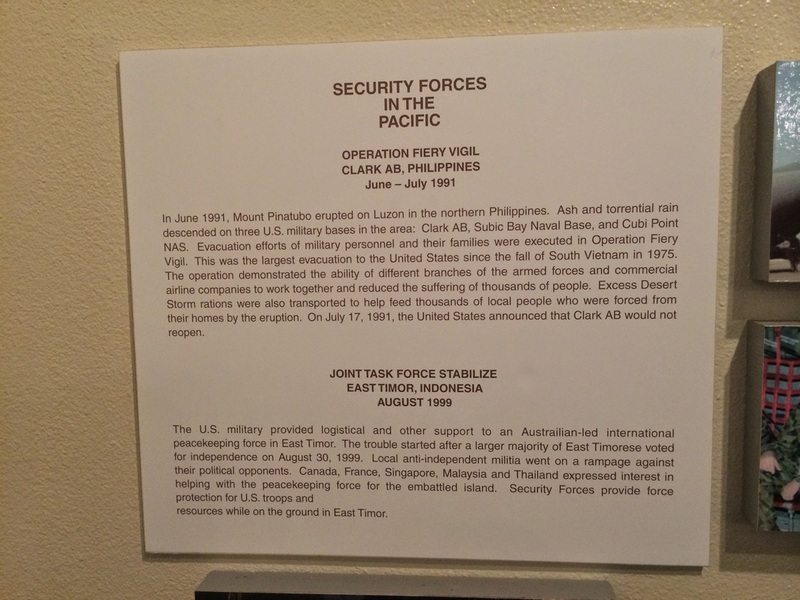 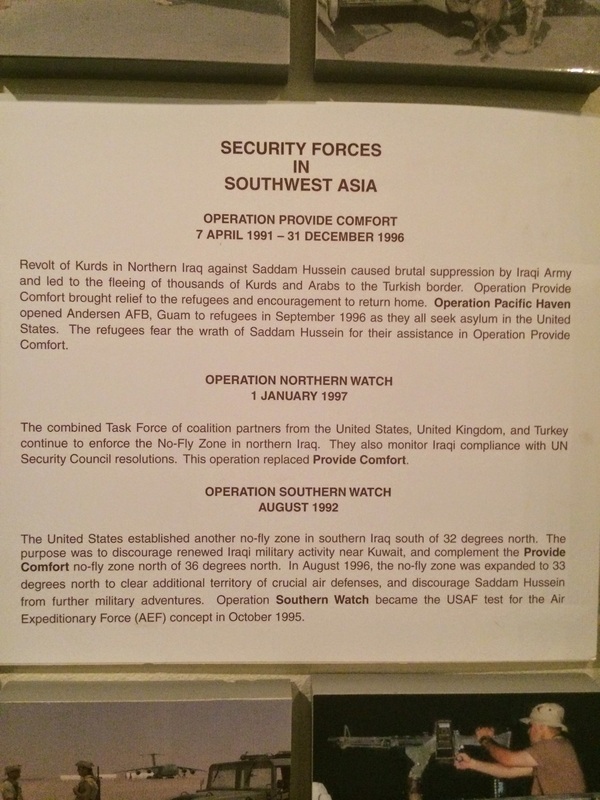 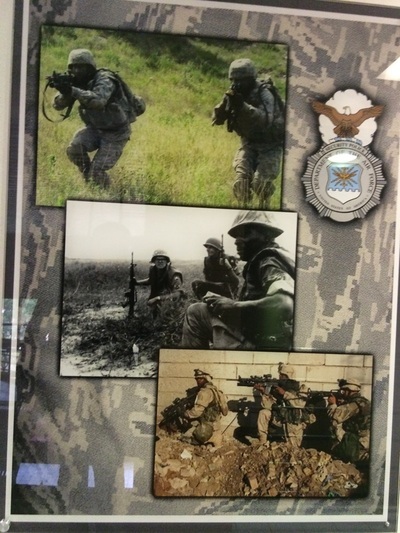 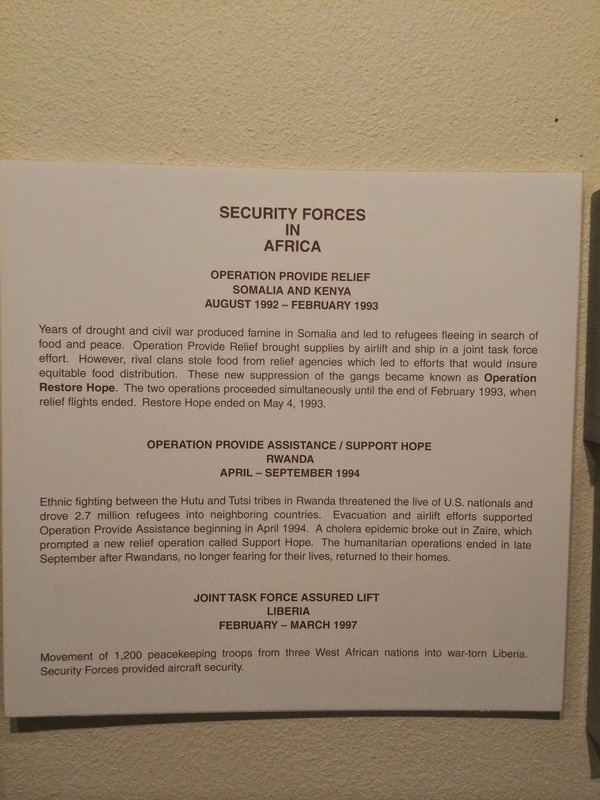 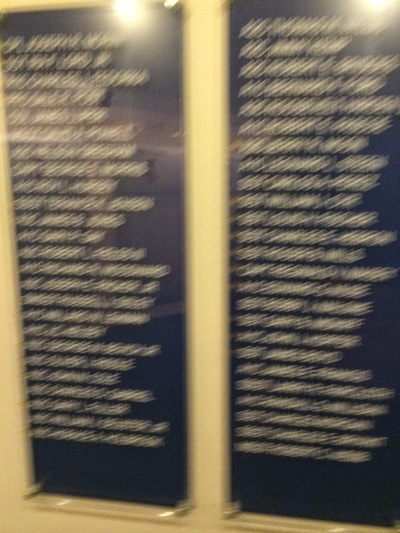 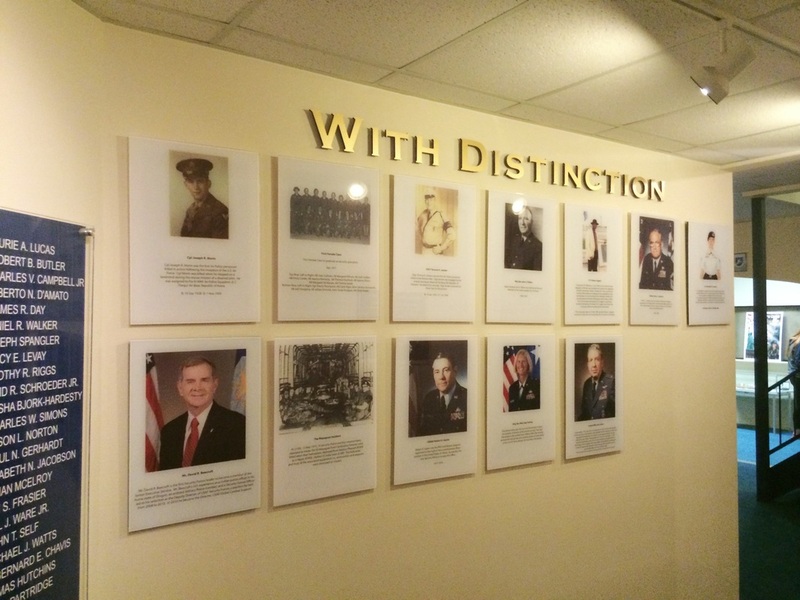 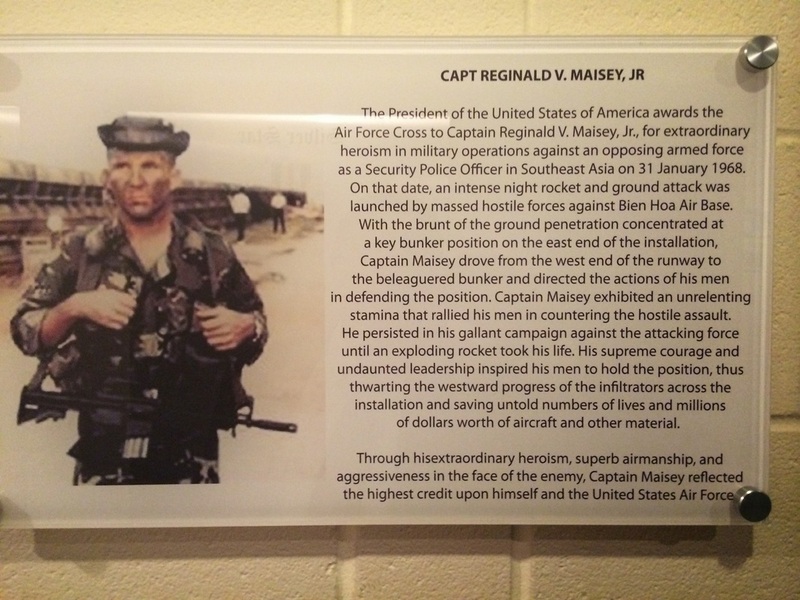 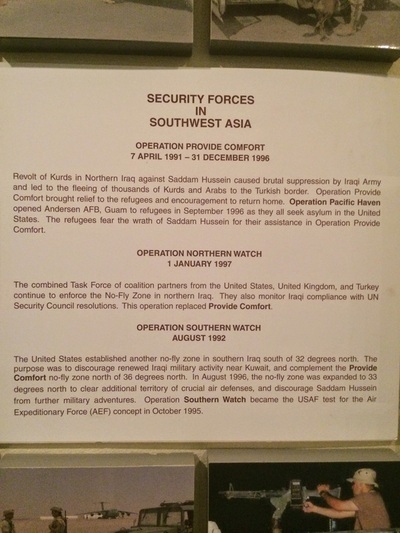 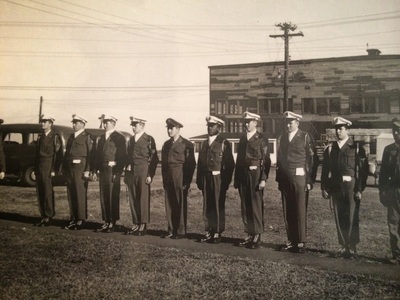 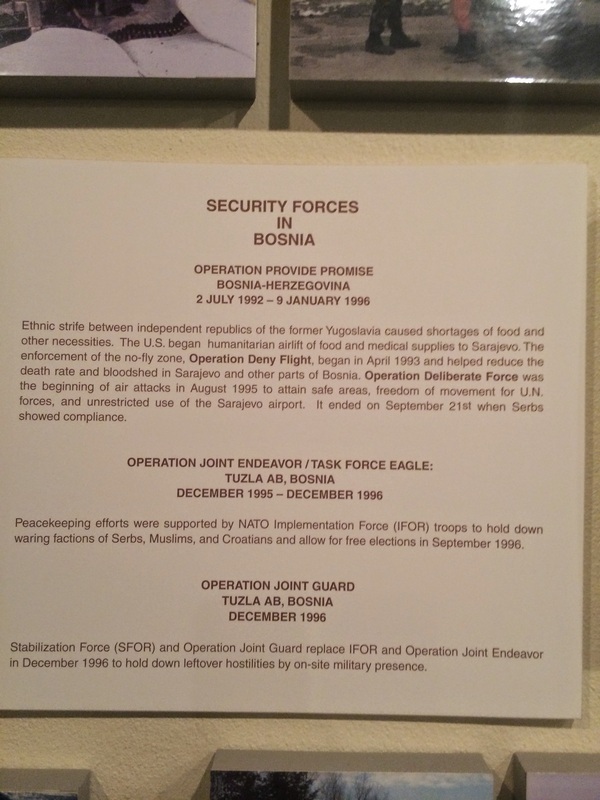 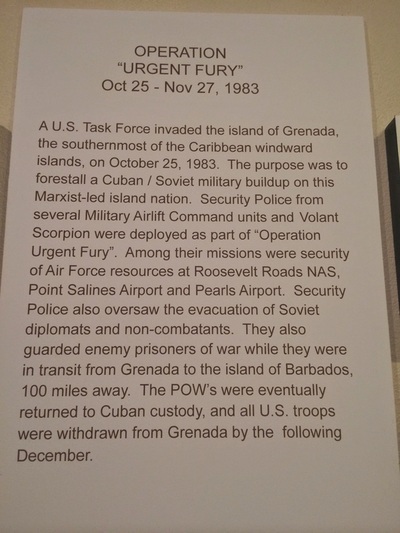 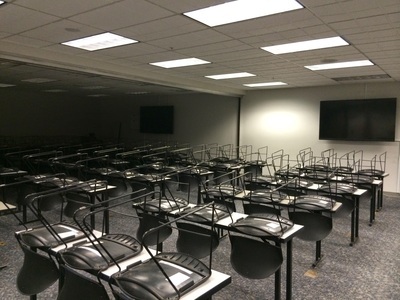 Thanks to the staff at the Security Forces Academy and HQ Security Forces at the Pentagon I was able to visit the Museum and now share these photos with you. 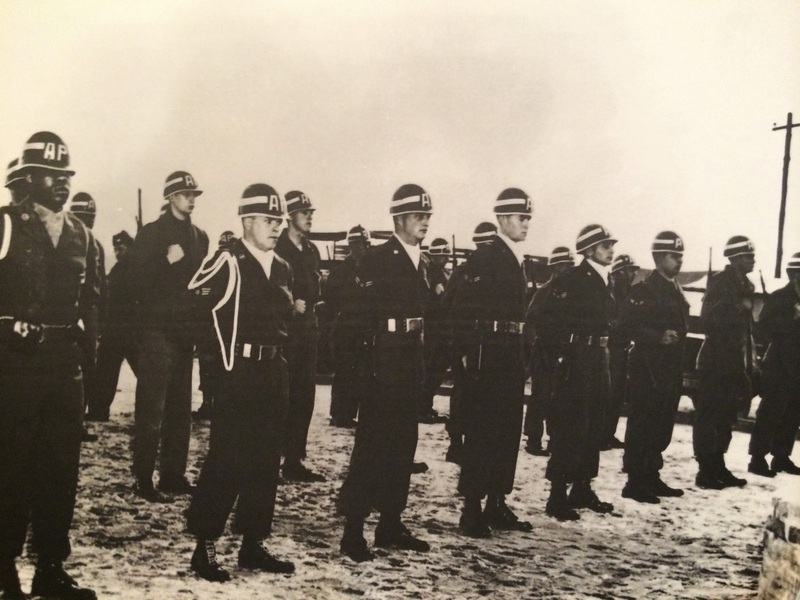 We want to recognize the Air Force Security Forces Association (AFSFA) and the Security Forces Museum Foundation (SFMF) for their hard work and dedication in building and maintaining the Museum over the decades. 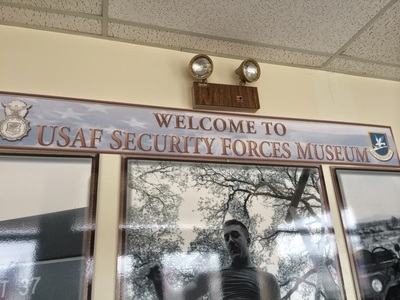 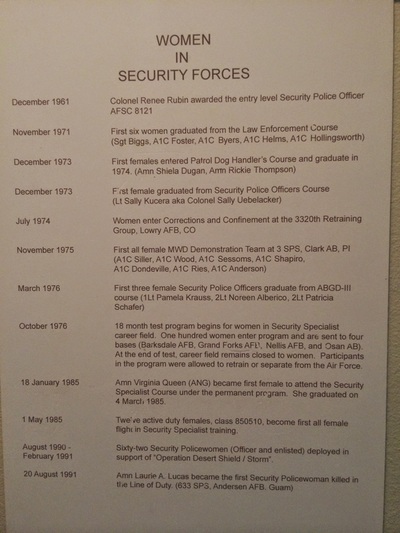 It was a great experience listening to the Security Forces Instructors tell the students the importance of the Museum and the history of our career field. 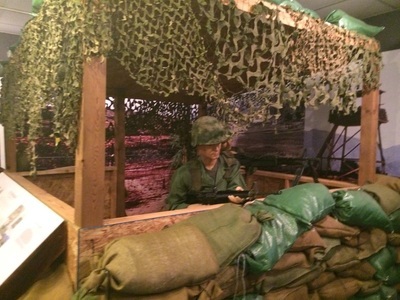 It was even more rewarding to listen to the students as they walked the halls of the Museum and talked about the exhibits. It is a shame that this Museum is at risk. 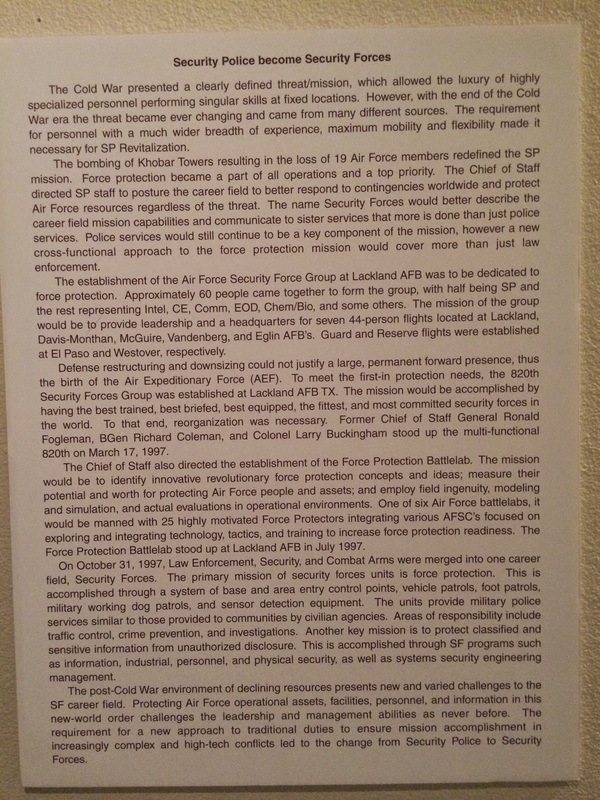 It is very important that we all work together to preserve the proud history and traditions of teh largest career field in the USAF. 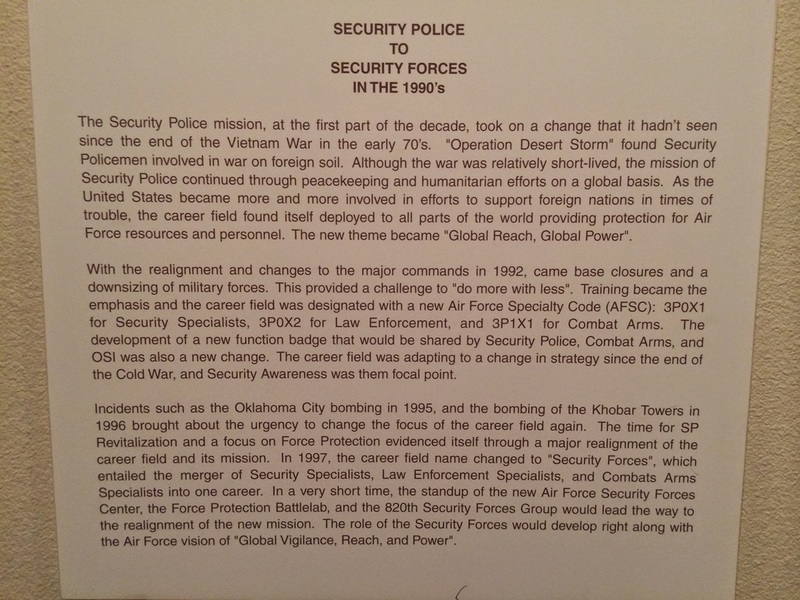 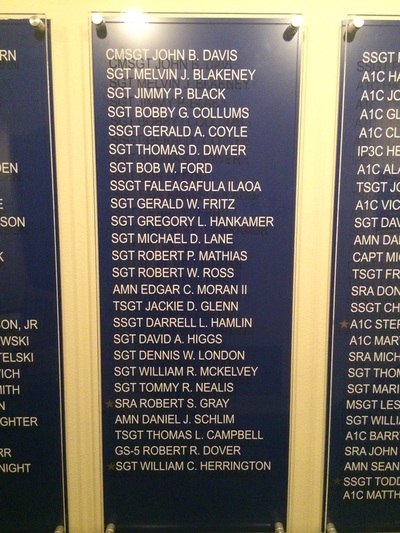 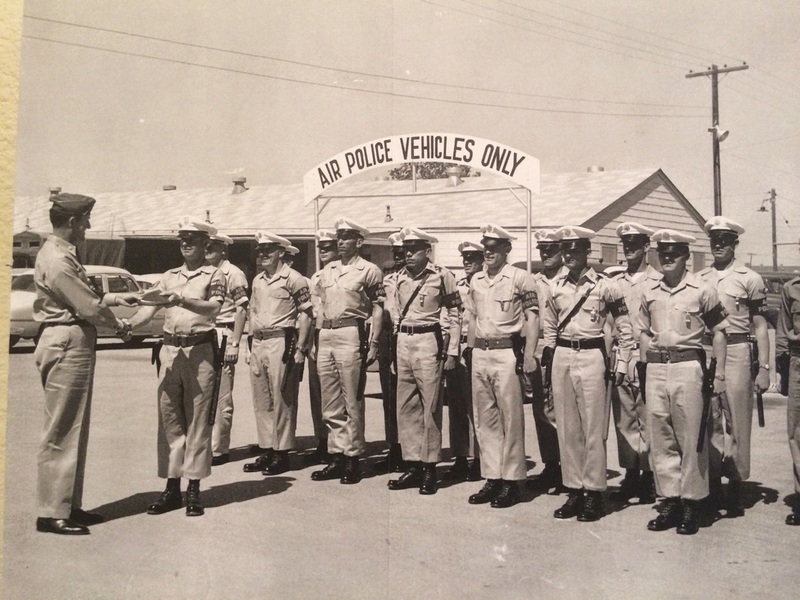 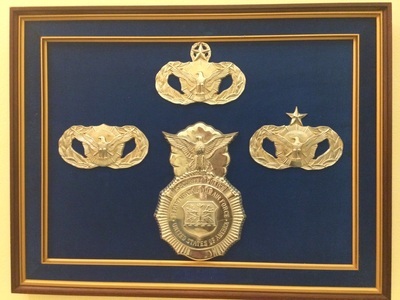 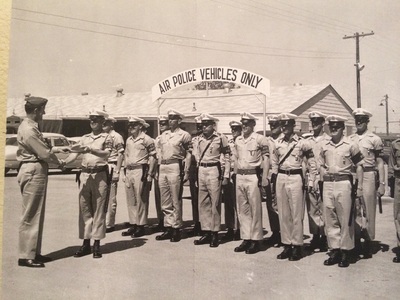 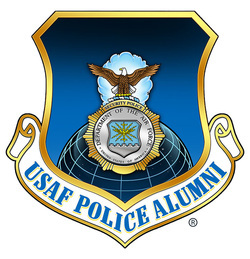 The USAF Air Police, Security Police and Security Forces.